A native Floridian, Alexa has seemed destined for the stage when in as a toddler selected to be the Ruskin Tomato Queen and she has been treading the boards ever since. Now at age 16, she has many roles and titles in her repertoire. She is a regular at the Patel Conservatory where she has classes and received the Spotlight Award and Jr. Certification. She has had principal starring roles in the following: "Once Upon a Mattress", "A Little Princess", and "Thoroughly Modern Millie". Miss Lowrey has also had featured lead parts in: "Annie", "Cinderella", "Seussical the Musical", "Alice in Wonderland", "Beauty and the Beast", "The Music Man", "The Little Mermaid","Into The Woods". "Oklahoma" fr. At Tampa Preparatory, where she maintains her high academic success, she recently had the lead role in the musical “The 25th Annual Putnam County Spelling Bee”, and was an ensemble soloist in “Rent”. This past year she was featured in musical versions of “Jane Eyre” as Blanche Ingram and Alice in “The Addams Family”. Alexa has received superior ratings in her vocal and thespians categories, 1st place in classical and second place in musical theatre for the NATS competition and is in her fourth year as a soloist for the North Port Orchestra. Alexa has performed in two professional Operas, “Carmen” and “La Boheme”, in which she was selected by the Maestro to be the featured children’s soloist in the famous Café Scene. Now at age 16, she has many roles and titles in her repertoire. She has mastered our National Anthem, (Star Spangled Banner), and was asked to sing it numerous times for the Lakeland Flying Tigers minor league baseball team and sport events at her school. Alexa attends Tampa Preparatory School where she is active in all areas of music. Through the Tampa Prep Chorus, she has achieved multiple Superior ratings in solo/ensemble competitions, and, as a Seventh Grader, she was chosen as the judges’ favorite in the high-school category. She has been selected for the Mixed All-State chorus two years in a row and has traveled with her school chorus to take part in the famous Candlelight Concerts at EPCOT Center at Disney World, as well as selected to perform at Carnegie Hall in New York City. Alexa maintains high academic success including having the highest grade point average in her AP Music Theory class. She participates in plays and musical theatre productions as her school and was recently featured in musical versions of “Jane Eyre” as Blanche Ingram and as Alice in “The Addams Family”. Alexa attends the One in Christ Church in Florida as a member and soloist. She has been requested to sing at funerals, events and performs with the church choir. She recently travelled to sing and donate to those in need in Tennessee at Our Savior Lutheran Church after the fires engulfed much of Gatlinburg this past year. Alexa took on the challenge of how to properly manage her time for studying, being involved with music and musical performances along with volunteering and being active in leadership positions at her school, Tampa Preparatory. Through the Tampa Prep. Chorus, she has achieved multiple Superior ratings in solo/ensemble competitions, and, as a Seventh Grader, she was chosen as the judges’ favorite in the high-school category. She has been selected for the Mixed All-State chorus two years in a row and has traveled with her school chorus to take part in the famous Candlelight Concerts at EPCOT Center at Disney World, as well as selected to perform at Carnegie Hall in New York City. Alexa maintains high academic success including having the highest grade point average in her AP Music Theory class which will help her as she hopes to attend a University after her high school graduation to continue her education in music. 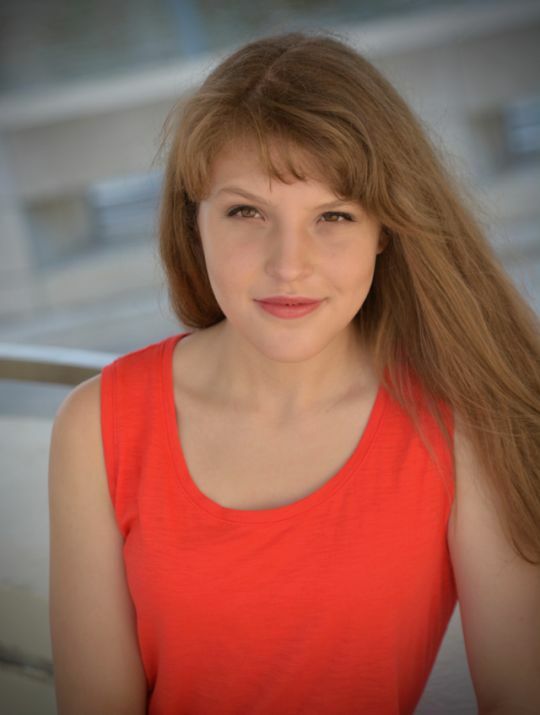 Alexa is a regular at the Patel Conservatory where she received the Spotlight Award and Jr. Certification while taking classes in choir, musical theater, dance and acting. In her continuing efforts to become a professional musician she studies Voice and Piano privately with acclaimed Tampa teacher, Melody Feist, with whom she has won awards such as 1st place in Classical and second place in Musical Theatre for the NATS competition.